-Daniel..ㅠㅠ He looks good in everything he wears..
-This is weird.. 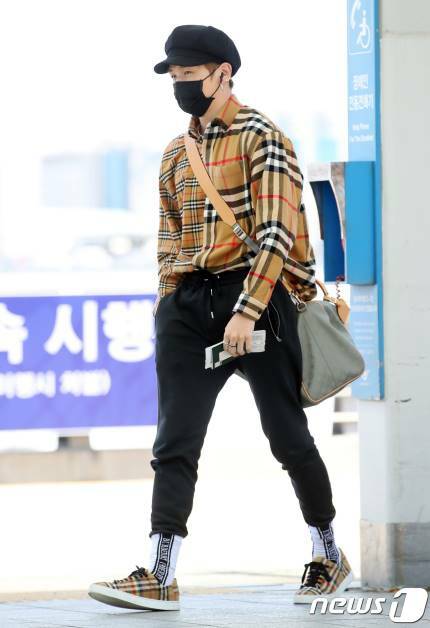 I used to have no interest on him, but after seeing these pictures I suddenly want to know him more..ㅋㅋㅋㅋ I suddenly like him..
-He can pull of this look because he's Kang Daniel.. If someone with average body proportions wear this outfit, they would probably look like a dwarf..
-His outfit looks pretty in my eyes..ㅋㅋㅋ He looks so trendy and it's all thanks to his good body..
-He's good at mix-and-matching his outfit.. It's really interesting to see him trying out different styles each time. He's so trendy..